English printer; born in London at the close of the eighteenth century; died there Dec. 18, 1883; senior member of the firm of Wertheimer, Lea & Co. From 1820 until his death he was actively engaged as a printer in London; and many important educational, medical, and philological works were issued from his press. 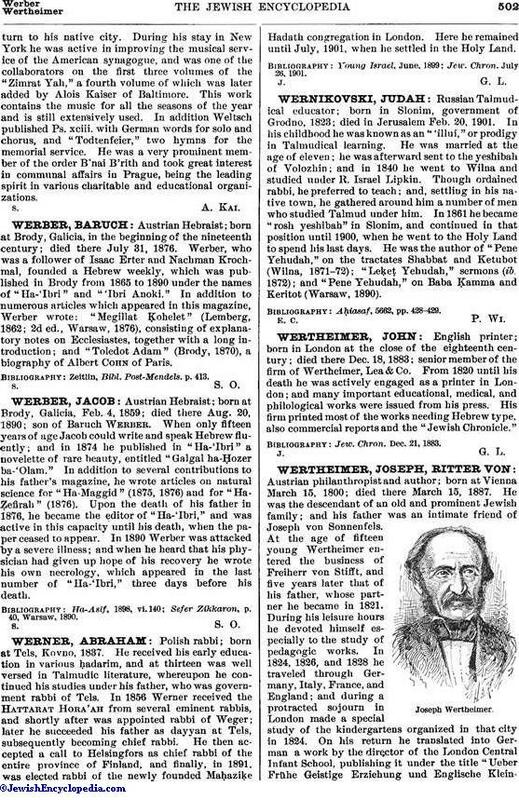 His firm printed most of the works needing Hebrew type, also commercial reports and the "Jewish Chronicle." Jew. Chron. Dec. 21, 1883.